Adding furniture to the bathroom has become a very popular trend over the years. These are usually functional pieces that take care of storage problems and also add beauty to the bathing space. 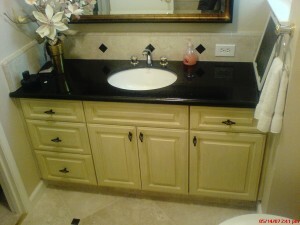 Custom bathroom cabinets are very popular because of their versatility. They help you keep your towels, soaps, shampoos, body wash, personal hygiene kits, cleaning stuff and other accessories that you normally use in the bathroom in an organized manner. When choosing custom bathroom cabinets, you must always ensure that they have sufficient storage. While they serve a decorative purpose, they provide ample space to store all the items that you usually clutter around the sink area. Before you get custom bathroom cabinets designed, you must take a look at the products and items that you normally use in the bathroom. This will help you decide on a size that will accommodate all of your essentials. Perhaps, you can get a design professional to analyze the space. The location where the cabinets need to be fixed, the size and shape of the custom bathroom cabinets and the amount of space available must all be considered. In addition, they must be installed at a place that is easily accessible. Most of them are attached above the sink, but not all bathrooms are suitable for this. It should be easy to open the doors and they should not be positioned too low or too high. 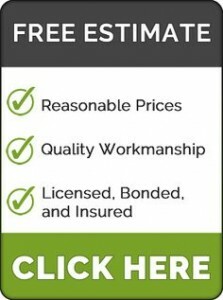 Call us today for a free estimate on your next bathroom remodeling project.